When he’s not defending the world from dinosaurs, Chris Pratt and his abs are starring in Marvel’s latest summer epic, Guardians Of The Galaxy. 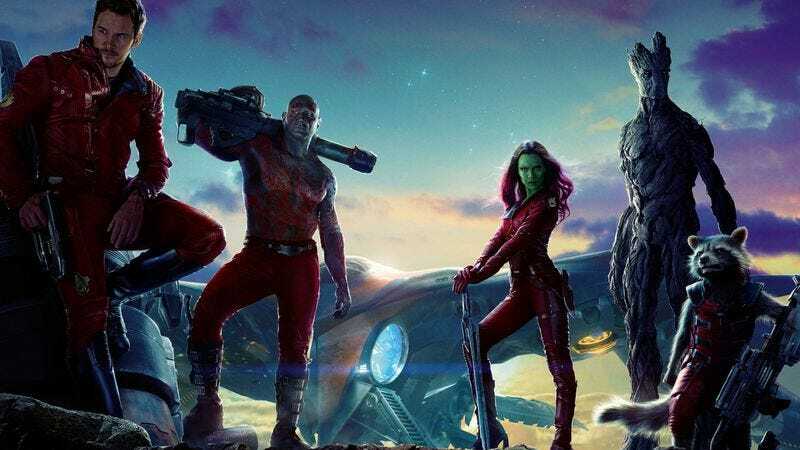 Pratt plays Peter Quill, an intergalactic thief who steals a mysterious orb with powers beyond his knowledge, sending him on the run from the powerful villain Ronan. Now, Quill must go against all his instincts and pair up with a ragtag group of alien outlaws in order to stop Ronan and save the universe. Guardians opens nationwide August 1, but The A.V. Club has an opportunity for you to attend an early screening Wednesday July 23, here in Chicago. To enter for a chance to attend, e-mail avcontests@theonion.com with the word “GUARDIANS” in the subject line. Please include your full name in the body of the email. A lucky 75 entrants will win passes good for two, and those passes will GUARANTEE seating until 6:30 p.m. on the night of the show. (So if you’re a winner, you don’t have to wait in line only to be turned away.) A synopsis and trailer for the film can be found below. Winners will be notified on Tuesday, July 22.